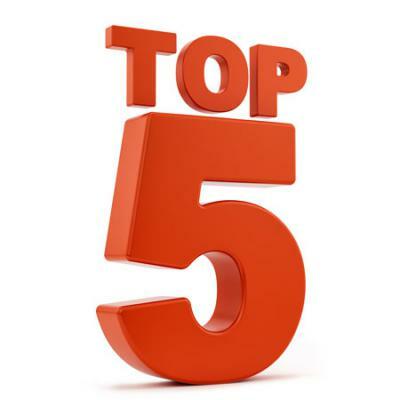 What are the Top 5 Medical Aids in South Africa? Which are the top medical aids in South Africa? This renowned medical insurance firm is one of the top medical aids in South Africa, distinguishing itself with a wide range of products to suit different needs. Medihelp’s flexibility and excellent customer service are the company’s key selling points. Another reason many South Africans opt for Medihelp is its wide network of healthcare providers. You can get treatment literally at any private hospital countrywide as a member of Medihelp. Furthermore, you can get treatment by a GP or physio of your choice. What is more, Medihelp provides 24 hour emergency transport, courtesy of ER24 for medical emergencies. And, best of all, there is no yearly limit on their policy for hospitalisation. No wonder a recent survey revealed that 78% of Medihelp’s customers were happy with their services. Selfmed has been around for more than 40 years, so they know a thing or two about the South African market. It is one of the top medical aids. Their health cover has a lot in common with those of Medihelp, including the fact that members can choose any private clinic in the country. Also, in the event of a medical emergency you and any other beneficiaries can count on ER24 emergency transport. In addition to these benefits, Selfmed members can look forward to unlimited cover for home nursing and rehabilitation. Therefore, you will also make huge savings when hospitalised for childbirth. When you go home from hospital, the medical aid will pay for any drugs you given upon discharge. Additionally, in the customer satisfaction survey, 68% of Selfmed members expressed deep satisfaction with its services. However, 11% of them were dissatisfied, especially with the perceived high premiums and limited cover. And from the 28 policyholders interviewed, Selfmed garnered an average rating of 3.5 out of 5 stars. Innovative healthcare plans that give policyholders great savings options on their policies. Seven in every 10 Momentum policyholders is very satisfied with their health cover. A key complaint among the dissatisfied customers was the quality of support from the customer care call centre. Though one of the country’s biggest health insurance providers in the country, customer service is also the Achilles heel of Medshield. This company boasts close to 200,000 policyholders and has been in operation for just about half a century. They offer a 24-hour health consultant to members, available to give direction to parents of new-born babies as well as patients suffering from chronic conditions. These, in addition to the standard policy benefits, are the reasons 65% of Medshield customers say they are happy with their insurance provider. Fortunately, the affordability of their premiums is what makes Clientele one of South Africa’s most popular health insurance options. So for as little as R110 per month, you get cover for hospital bills and hospitalisation costs amounting to R200,000. Their Accidental Death and Accidental Disability policies ensure that in the event of the principal’s death, their dependents are not left with insurmountable hospital bills. With an average score of 4.5 out of 5 stars, Clientele has the highest approval rating. Also their Accidental Death and Accidental Disability policies ensure that in the event of the principal’s death, their dependents are not left with insurmountable hospital bills. With an average score of 4.5 out of 5 stars, Clientele has the highest approval rating.